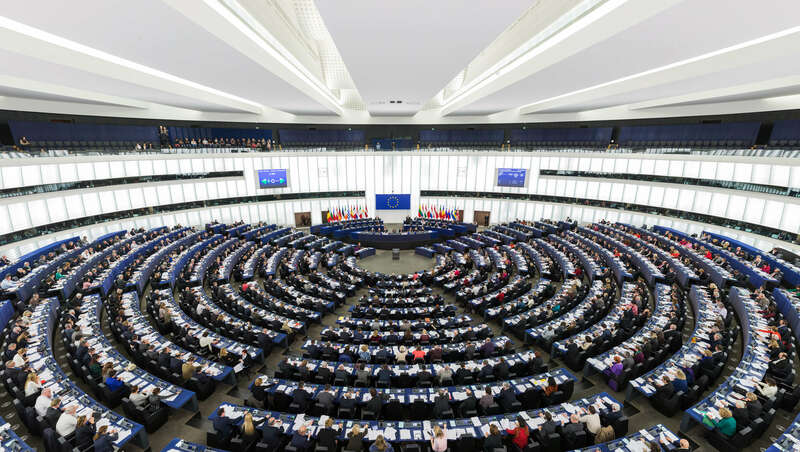 As part of its digital transformation strategy, the European Parliament has been successfully using APROPLAN through its partners’ and contractors’ environments for many years. The uses concern the processes of accepting and monitoring construction sites, as well as the inspection and monitoring of maintenance work. In 2019, the parliament decided to generalise their use of APROPLAN and standardise the two above-mentioned internal processes. Additionally, the parliament resolved to investigate other high value-added uses that APROPLAN can provide through the software’s advanced functionalities in the field of information capturing and processing. Gabecon constructed a brand new Sint-Vincentius residential care centre on the site of the former Sint-Niklaas clinic. The new building featured 121 residential units, a centre for short stays with 10 units and 27 assisted living residences. It also has a wellness centre that includes a physiotherapy room, a hair salon, and relaxation rooms. There is also a cafeteria overlooking the Houtmarkt. In order to deploy APROPLAN across three sites (Brussels, Luxembourg and Strasbourg) and to maximise their return on investment, the European Parliament has mandated APROPLAN, through its Professional Services department, to support it in this digital transformation process. APROPLAN’s approach is to find the stakeholders of the European Parliament a harmonious approach that follows the logic of Tools, Processes and People. APROPLAN organised workshops to identify the processes to be implemented, to discuss data workflows, to discuss migration needs, to define integration needs with other systems such as CMMS, and to define the overall post-implementation handling of APROPLAN. Several prototype projects were developed to be used for both testing and training. APROPLAN then launched a change management program that consists of training, evaluating knowledge and coaching more than 110 future users at the three sites of the European Parliament.than 110 future users at the three sites of the European Parliament. Following these, the plan is to refine the prototyping—document both processes and system support documents, train future administrators and help the parliament to organise the support. Discussions around integration projects between APROPLAN and the parliamentary management systems (such as CMMS) are also on the table to eliminate sources of data encoding errors,to make the processes leaner, and to facilitate the tool’s adoption by future users. There are multiple challenges for APROPLAN on this project. First and foremost, APROPLAN must guarantee the technical compliance with the safety standards required by Parliament. Secondly, it is essential to properly identify and document the processes involved, and to find and negotiate workarounds when user requirements do not meet the existing functionalities of APROPLAN. Finally, it was not easy to prepare and execute the change management program at the three sites and to address the specifics for each site in order to ensure that the future adoption of the system will be optimal. To properly address these issues, APROPLAN has chosen its most experienced consultants to carry out this mission. We have taken care to discuss the specific needs of Parliament, to bring out and address objections and to dedicate a resource for project management. This team is supported by the entire APROPLAN internal technical team and its partners specialised in various technologies.